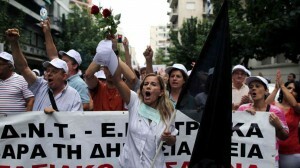 A major public health disaster has emerged in Greece as a result of the harshest austerity policies in Europe. Cancer patients are going without chemotherapy. Malaria has reappeared after 40 years of being under control. New cases of HIV have risen by 200%. Children are not being immunised against childhood diseases. Read the report by Dr Louise Irvine, Chair of Save Lewisham Hospital Campaign, ‘ What ‘austerity’ has done to Greek healthcare’ published 26.1.2015 after her visit with GSC to Athens-shown speaking here in Evangelismos Hospital, Athens. All money donated goes to support the voluntary Social Solidarity Clinics and Pharmacies – see below. The Greek National Health system, modest to start with, is partly funded by government resources, augmented by an employment based health insurance mechanism. The implementation of austerity measures led to huge job cuts and meant 3 million people lost their health cover between 2010 – 15. The Greek government in early 2016 passed a law to give access to health care for the uninsured, but those working in the remaining severely understaffed hospitals, already battling with long waiting lists, wonder how they will care for everyone. The government cuts have led to the near collapse of the public primary and acute care infrastructure, with hospitals closing down or amalgamated, severe shortages of medicines and equipment, huge numbers of vacancies and pay reductions leading to an exodus of qualified medical practitioners ( average pay for a consultant with 5 or more years of post qualification experience is around £12,ooo a year). The end result is public health disaster, children are not being vaccinated, seriously ill people cannot get medicines and thousands are dying unnecessarily. The Greek people have been fighting back with dignity. As well as resisting cuts and privatisation, the grassroots solidarity movement has established a network of free ‘social solidarity health clinics’ run by health workers in their own time. Thousands of volunteer doctors, nurses, medical practitioners and others provide their services unpaid at the solidarity clinics, and the clinics provide through individual donations and recycled medicines the necessary medicines, whenever they can. In 2011 there were only 2-3 such clinics in the country, primarily catering for poor immigrants and the unemployed who did not have access to the national health service. Now there are around 50 solidarity clinics across the country, serving everyone who needs their support. In addition, in 2015-16, the volunteers at clinics in and around Athens, Piraeus and on some islands have been working double shifts to also support the needs of the thousands of refugees. These solidarity clinics rely on donations but they are not charities. 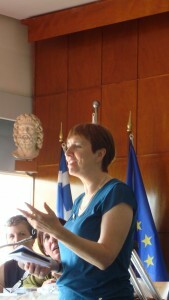 They have been set up by ordinary people in Greece opposing austerity and demanding change. They are democratically organised run by regular assemblies. Read about the clinics we have supported here. 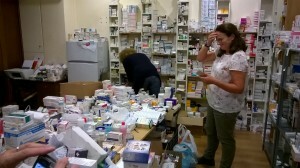 Please help us raise money for essential drugs and medical supplies. 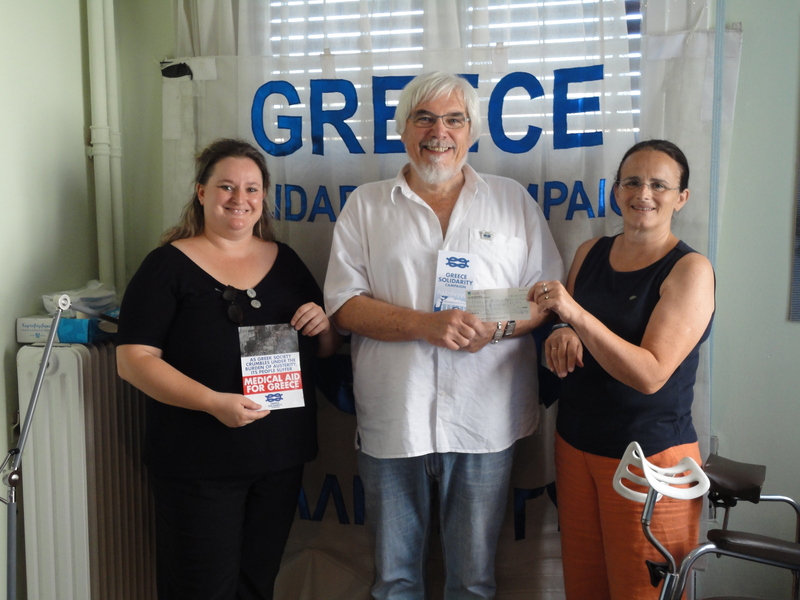 The appeal comes directly from those leading the movement against austerity in Greece. Or make a direct transfer to: Medical Aid for Greece A/C: 20307259 Sort Code: 60 83 01 . We are in contact with the Greek ‘Solidarity 4 All ‘ organisation who have asked us to help supply vaccines and fund medical equipment. Please can you or your organisation make a donation. A gift of £866 could provide 100 children with MMR vaccine; A gift of £120 could protect 100 children from Tetanus.